Hyundai has improved the styling of the i30, shown here at its Frankfurt debut. Hyundai is launching its second-generation i30 compact car after five years rather than after seven years which is usual for a product renewal. 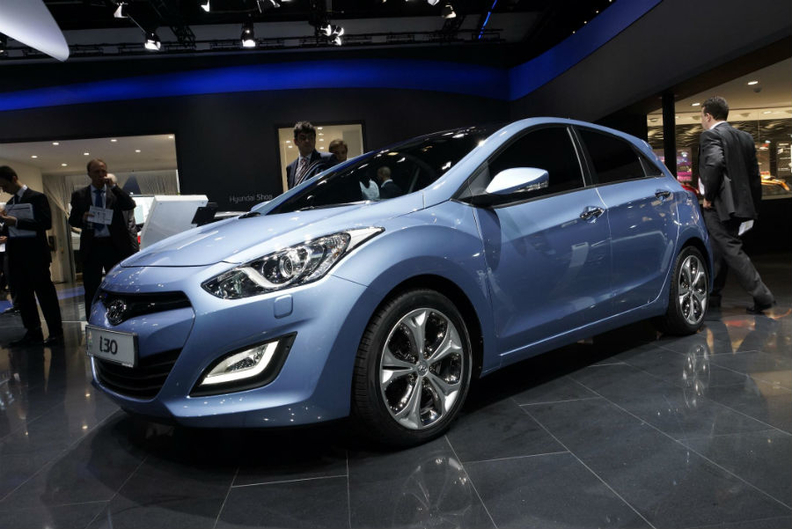 The Korean brand aims to make sure the i30 remains competitive in Europe's second-largest segment after subcompacts. The i30 is Hyundai's best-seller in Europe but the car's European sales fell nearly 12 percent last year to 101,328 units, according to market researchers JATO Dynamics. With the new seventh-generation Volkswagen Golf, Europe's top-selling car for the last four years, due to launch this year, Hyundai decided to take action. "The i30 is our most important car in terms of volume and brand positioning. We felt like it is time to offer a fresh contender in this segment," said Oliver Gutt, Hyundai Germany's head of product management. Gutt said the i30, on average, would be priced about 8 percent below competitors in the segment, which includes the Golf, Ford Focus, Opel/Vauxhall Astra, Citroen C4 and Peugeot 308. Hyundai Europe Chief Operating Officer Allan Rushforth said the i30 offers an enhanced design, better performance, more features and lower emissions. "The new i30 will maintain Hyundai's sales growth in this most hotly contested segment of the European market," Rushford told Automotive News Europe. "It is designed, engineered and manufactured in Europe, for Europe." Nearly half of i30 buyers are expected to be women. Hyundai will offer three diesels and three gasoline engines in the i30 with power outputs ranging from 90 hp to 135 hp. The powertrain with the lowest emissions is the so-called "blue" version of the 128-hp diesel that promises 97 grams of CO2 per kilometer. The new i30 is 20mm longer (4300mm), 5mm wider (1780mm) and 10mm shorter (1470mm) than the car it replaces. 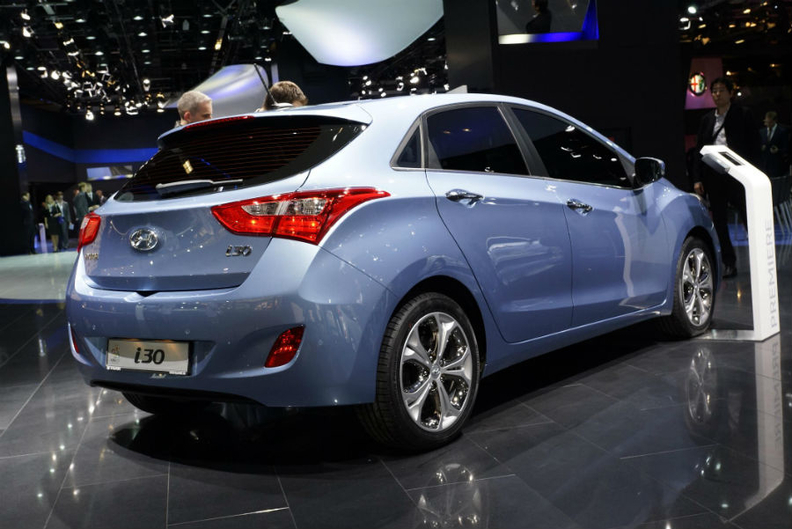 Sales of the five-door i30, which was unveiled at the 2011 Frankfurt auto show, will begin this month. At the Geneva auto show in March, Hyundai will unveil a wagon version, which will arrive in showrooms in July. A three-door hatchback will follow in December. Hyundai aims to sell more than 120,000 i30s a year in Europe. The car is a key part of the Korean automaker's bid to boost European volume to 500,000 units by 2013, up from 398,000 in 2011.